What a pleasant and low-tension level photo session I experienced yesterday for the new album, LIFELINES. The fabulous photographer, Jörg Steinmetz ( www.visual-food.com ) kindly consented to shoot the pics here at my house. I was hesitant to ask him whether we could change the venue from his studio to my house, but he is very flexible and kindly agreed. Soon after, the make-up artist, Jutta Krantz, arrived. I didn't know her, but Eddie did as she is one of the make-up ladies at the theater. The relationship between a make-up artist and her "victim" is tricky. 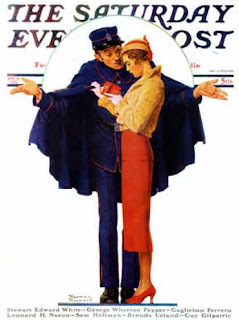 She not only has to have the skills and materials to do a good job, there also has to be good chemistry between them so that the visagistin understands what the customer wants. I had a few magazine photos and we talked and she went to work on my make-up and hair while Jörg and Maike set up the equipment downstairs. It was the first warm day this year. About the time we all got to work, it was over 21°. And the sun was pouring in the house. Jörg used the time I was being labored over to take still photos of various objects in my house that are "lifelines" for me: objects that have sentimental value or tell a story. Ami Falk showed up at that point. She is doing the graphics for the album cover/booklet and she was able to direct Jörg to things that she wanted to employ in the collage. Ami is due to have a baby next month so we tried to get her to sit down as much as possible because, honestly, she looked like she would just pop at any moment! Eddie agreed to keep the snacks and food coming, Luke assisted in my "styling" and we just all had a great time together. Jörg took probably 1000 photos. That is not unusual. It takes that many to find the hand full of pics that say what we want them to say, if you know what I mean. Jutta did a great job on hair and make-up. She stayed with me the entire day, which was reassuring having her trained eyes looking out for wayward hairs, crooked collars, lipstick on teeth, etc. And I felt like she really understood what I wanted. When she initially asked what style the photo shoot would be, Eddie replied, "Somewhere between Nina Hagen and Angela Merkel"! I think she got it right. I think we all had fun. I think the day was successful: we didn't break anything at the neighbor's house, the clothes covered up my "love handles", the make-up covered up my wrinkles, Ami didn't have the baby, the food was good, the weather gorgeous, and we all parted as friends. What more could I ask for? When I booted up my computer this morning, Jörg had sent me this one photo. He thinks it should be the cover of the new album. What do you think???? Today, I cashed in my one and only Groupon purchase; an hour-long facial at a Beauty Lounge. I was really looking forward to this. I'd had one before at another place and it was just divine. So relaxing and it did my skin good. First of all, the woman talked for one solid hour. I don't think I could do that if you paid me. She was immersed in telling me exactly what she was doing and why and with what and why not. It started off badly: She removed my make-up and used some sort of motor-powered rotating brush to foam up the facial cleanser on my skin. She rotated the foam right into my nose, and because I was on my back, it immediately ran down my nose, burning like fire, and down the back of my throat. Have you ever accidently gotten soap in your nose? Well, that's what we're talking about here. My eyes started tearing up at the pain and I asked her to stop so that I could blow my nose. It didn't help. There was a burning pathway of pain leading through my nose and down the back of my throat. But I told her to continue. I just kept swallowing and coughing. When I left the place an hour later, my nasal passage still burned. Then she did an acid peeling (or something like that) She put some wet stuff on my skin which started making sizzling sounds as if my face was cooking in a skillet. And then it started to burn. She informed me that it MIGHT burn a bit, so she turned on a fan to cool my face while the top layer of skin was basically burned off. Several minutes later that came off and then she used some sort of razor blade to beat my eyebrows into submission. She also used it to shave off irregularities on the surface of my skin. That caused quite a bit of bleeding. So, she had to stop. Then she informed me that she would now massage my face with some kind of good moisturizing stuff, and to make it go deep down into my skin, she would massage it using an electric current. She put one end of the electric charge on my chest, and one end on her leg and then put on gloves and started massaging my face. It tingled and vibrated a little bit, but was really quite pleasant. Until she got close to my eye which was still tearing a lot from the nasal passage damage earlier. When her fingers touched that path of tears, the electricity passed right up and right into my eyeball. My eye burned and is still quite red from those shocks. When she finally finished with that massage, she took her gloves off explaining to me that the gloves disperse the electric current. Otherwise, if she touched me I would get a shock. She accidently demonstrated this by reaching for the end of the electric charge on my chest and touching my skin instead of the metal disc. Yep, I did get a shock. I have a little red burn spot now where she touched me. After this hour of tension and pain, the lady tried to put some make-up on me, which was kind of hard because my nose and eyes were still dripping. And when I got home, Eddie touched my face and commented on how soft and un-wrinkly my skin looked and even Luke said I had a "glow". So, will I do it again- you betcha! No response. "Hablan ustedes espaol?" Still nothing. Frustrated, the German guy drives off. 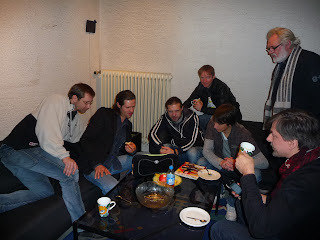 from left to right, Thomas Mark, Tommy Baldu, Jörg Dudys, Willi Wagner, Florian Sitzmann, Vilko Zanki (studio father), and Michael Koschorrek. The guys are watching a youtube video of Keith Richards arguing with Chuck Berry. I just wound up 4 days in the studio recording the basic tracks of my new album, LIFELINES. Being in the studio with outrageously talented and creative musicians is definitely one of my most favorite things to do! A big bravo goes out to Florian Sitzmann (keyboards, piano and producer) Michael Koschorrek (guitars) Jörg Dudys ( guitars) Willi Wagner ( bass) and Tommy Baldu ( drums and all things percussive). And of course, Thomas Mark, the Obi-Wan of the sound board. For those of you who don't know, I'm recording an album of mostly songs that I recorded over 20 years ago! Songs from the first 3 albums, C.A.E., Oh, Cae, and The Circle of Love. I'm talking about the 80's here! And the sounds on those old albums are the perfect snapshot of what was "in" at that time. Madonna, Michael Jackson, .... you know! Those 3 first albums were all produced by Dieter Falk and needless to say, he did an excellent job. These last few days have been a trip down memory lane remembering the recording techniques of 20 years ago. Reel to reel tape machines, people! And if you make a mistake, the sound engineer had to cut that out with a knife. I am not kidding! Things are much more relaxed now in a recording studio. Mistakes don't require knives to fix them. There's more space for experimenting and relaxing with each take. Our motto for this studio session: Less is more. There is a certain maturity in a band that has been playing and recording for a long long time. They know that music happens not just in the notes, but also in the spaces in between. The word that has been used often in the last few days to describe the arrangements and style of this album has been "ausgeschlafen", which means well-rested. Even though we were definitely NOT well-rested, the music sounds like it. I LOVE it! There's no panic, no chaos. Just well-loved songs and texts getting the attention they deserve. Last night while I was making Lifelines I watched a documentary on TV about teen alcohol abuse. 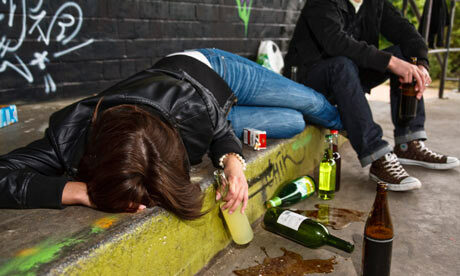 It's one thing to see images of 20-somethings wasted on alcohol, but quite another to see precious young 13 and 14-year olds binge- drinking with their only goal to get spewing drunk! Am I so old-fashioned that I just don't get it? Where is the temptation in trying to reach the point that you: can't stand up, don't know who you are or where you are, have vomited and pissed (or worse) all over yourself, and are incapable of defending yourself if you needed to? The documentary camera team followed ambulances on a typical weekend as they collected HUNDREDS of teens who were passed out and injured or involved in road accidents because of a voluntary action on their part. Don't get me wrong. I drink alcohol. Usually in the winter when our heating isn't working. Aside from that, I just don't seem to need it to find life fascinating and entertaining. Now let's get practical. Who's paying for all of those ambulance trips to pick up these kids? They certainly aren't! I am. And you are! I have an idea: I think that everytime somebody has to be picked up by an ambulance because they haven't controlled their drinking, they should be fined. Maybe 100 euros per trip. That's not a lot, but for a teen it's not a little. I wonder if it might make someone reconsider taking that "one more drink" that puts them over the edge. And I think that if they have to be picked up twice, they must attend mandatory alcohol abuse prevention classes. How will those classes be paid for? With the fines that they have paid!